AFTER THE last two weeks of street conflict between pro-government and opposition armed militias, workers in Lebanon are now facing two 'choices': either a sectarian civil war or 'civil peace' with a ruling 'coalition', writes Tamir Mahdi, Beirut. Is a lasting peace possible in Lebanon? 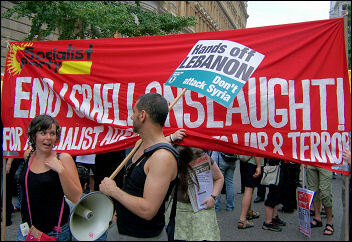 LASTING ONLY one month, the war in Lebanon between Israel and Hezbollah left 1,400 dead and 5,500 injured. Lebanon: Can the UN bring peace?